If more and more tourists choose this destination for their holidays, it is first and foremost to discover Prague. It is known as the city of the bell towers or “the city of a hundred towers”. You can also discover the medieval streets and shops for film location and advertisements. It is one of the most beautiful capitals of Europe, with many advantages over other European capitals. Prague has managed to preserve a rich cultural heritage, partly because it was preserved from the bombardments of the two great world wars, which were inexorably and cruelly suffered by other major cities in Europe. Analyzing Prague from the architectural point of view or from the point of view of the magnificence of its museums, the city is located in a privileged place of the European culture. 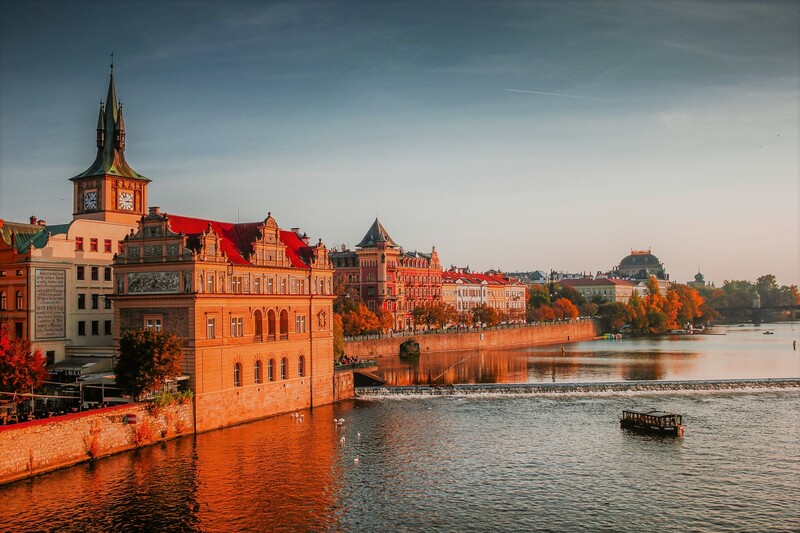 Located on the banks of the Vltava, it is the result of the unification in 1784 of four cities of medieval origin that today are the four hearts of the city. However, to sum up the Czech Republic in the beauty of its capital is to do no justice to the rest of the country that possesses cultural and geographical treasures worth knowing and admiring. The Czech Republic as a whole is an inviting place to be known, friendly to visitors and easy to discover. The Czechs welcome us with open arms and introduce us to their natural parks and architectural gems throughout the country. Let us not hesitate to explore the interior of these regions, still unknown to many. Travelling to the Czech Republic by plane is the fastest way to get there. The main airport is the one in Prague and receives flights not only from big capitals but also from many cities in Europe and the world, from France alone, there are more than 9 flights daily to this destination. Low-priced flights also cover the route from many European cities to Prague airport. We can travel to the Czech Republic by train, but the journey is very long, the transfers tedious and the trains uncomfortable. Travelling to Prague by bus is also long but more comfortable, since in the Czech Republic bus services are very affordable and efficient, they are a very comfortable way to travel around the interior of this beautiful country. Travelling by car can also be a long and tiring journey, with many stops to rest, but all the roads leading to the Czech Republic are in very good condition and the scenery is beautiful. An inconvenient to take into account: the administrative formalities at the border customs are cumbersome and very slow, often taking more than two hours, we must take advantage of this moment to purchase the mandatory wafer to circulate on the highways (fifteen days 6 €, two months 9 €, one year 30 €, credit cards are not accepted). The Czech Republic, despite its constant efforts, offers little accommodation to meet the growing demand during the summer months, especially in Prague which is attacked by tourists. The construction of hotels on the outskirts of the city is growing at a dizzying rate, but it is advisable to make reservations in advance. The hotels are rated from 1 to 5 stars, their services are of good quality and breakfast is usually included in the rate. Staying in private houses or renting an apartment is possible and much cheaper. If we choose to stay in private homes we must bear in mind that the service can vary greatly, there are people who like to open their homes to welcome tourists with open arms and who enjoy the contact and relationship that is established and others who only do so to make ends meet, which often results in a disappointing stay. Youth hostels are numerous, generally strategically located and very affordable – also highly sought-after – membership in the International Youth Hostel Federation is a requirement. Renting an apartment is a good solution because its rates are worthy of your comforts, you can rent it for a night, a week or the desired time. The campsites are a bit expensive, compared to the rest of Europe, many are open from April to October but others only during July and August, it is also convenient to make reservations in advance because tourism from abroad is added to domestic tourism and see their capacities full. Depending on how much time we spend on our holidays in the Czech Republic, which lends itself to all proposals, our itinerary will depend on what we want to do: a romantic getaway, family holidays, rural holidays, a cultural tour….a weekend, a week, a month…. For a romantic getaway or a long weekend, we should certainly choose Prague, although there is so much to see and do that will surely be insufficient, Prague is a spellbinding city and we must choose and there will be many things left for another visit. First, simply wander through the center of this romantic and timeless city. Walking through the old town may not leave us wanting to do anything else. Strolling around Kampa Island and Petrin Hill, admiring the landscape from Prague Castle built in the ninth century, considered the oldest medieval fortress, visiting the St. Vitus Cathedral, the Golden Alley, where Franz Kafka lived, the Charles Bridge and the Vltava (Vltava River that crosses the city)…. Prague is overflowing with monuments and museums of all kinds, many of them moving. If you have a week, you won’t be able to get to know the whole of the Czech Republic either, but that’s enough time to get to know all the charm of the city, from the Prague Castle to the Town Hall Square, from the Jewish quarter to the Vltava by boat, passing through the other historic districts of the city and discovering its museums, which are not only pictorial art. If our stay can be longer than a week we can get to know something about the country that offers diverse and beautiful landscapes with numerous national parks. The Bohemian region is as beautiful as we always imagined it to be, where we can also enjoy the Karlovy Vary hot spring resort – west of Prague – and visit the Cesky Krumlov castle, one of the many wonders of the country. If we prefer one of the parks in the Moravian region, let’s not hesitate to discover some of the UNESCO World Heritage sites, they are numerous and all worth visiting. Want to know more about European destinations? Check our category Travel!